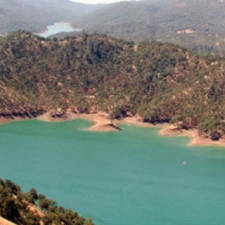 Pleasure Cove Marina is a full-service marina on the southwestern corner of Lake Berryessa just off Highway 128. This marina offers houseboat rentals, ski boats, and deck cruisers. The marina also comes complete with a boat launch, convenience store, boat slips, gas station, cabin rentals, campground, and RV sites.